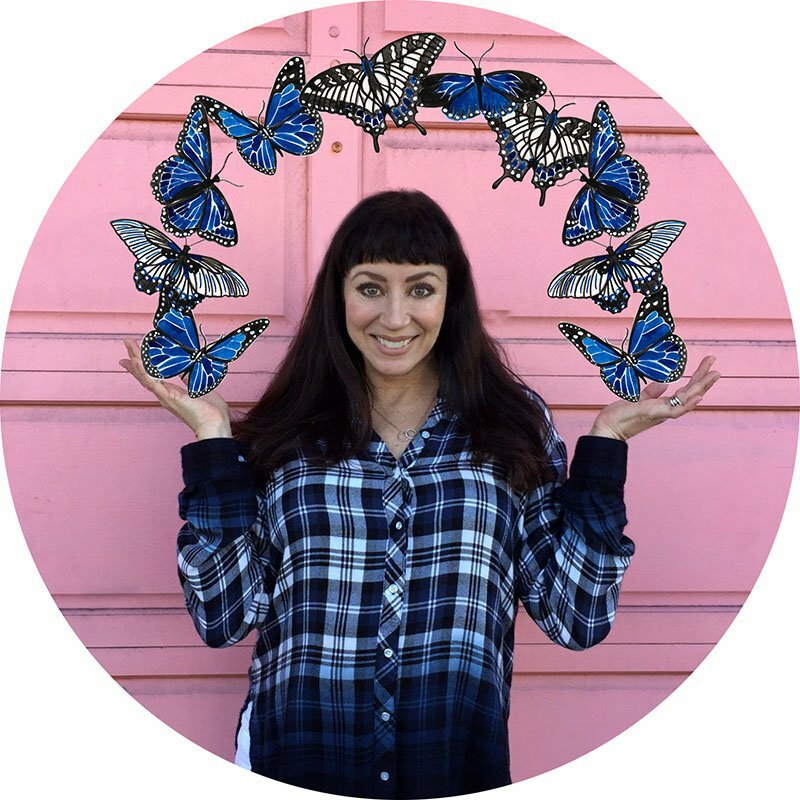 It’s time for another Artist Spotlight feature! 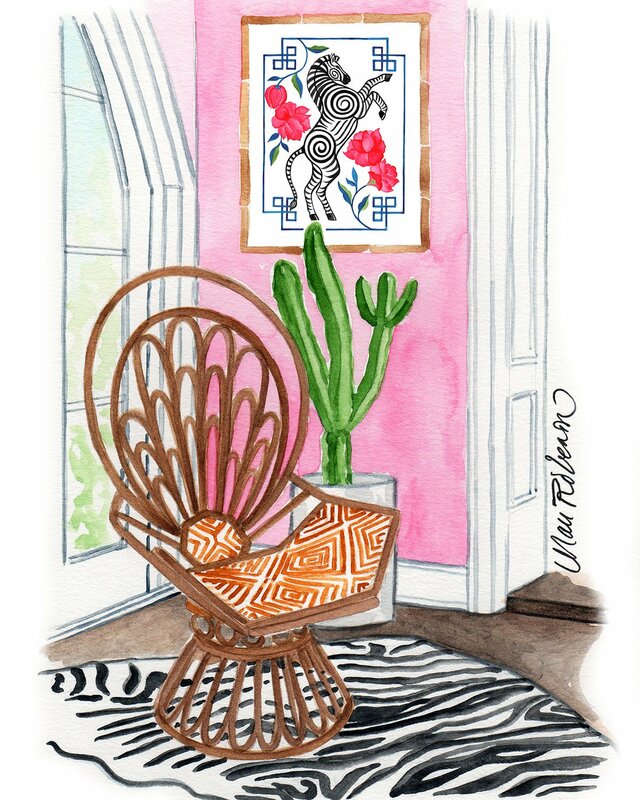 Today, we’re thrilled to be highlighting the talented illustrator and designer Mari Robeson. 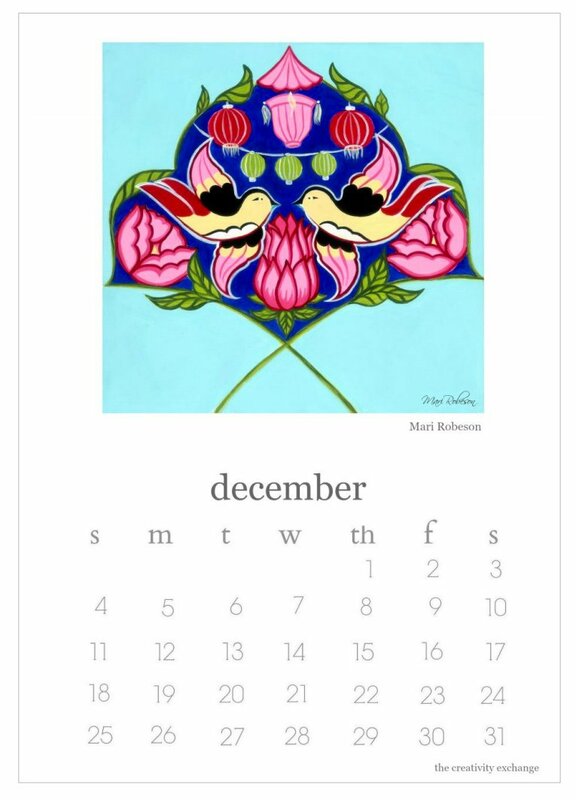 Mari’s painting was featured on our free printable artist collaboration calendar that we created last year here. 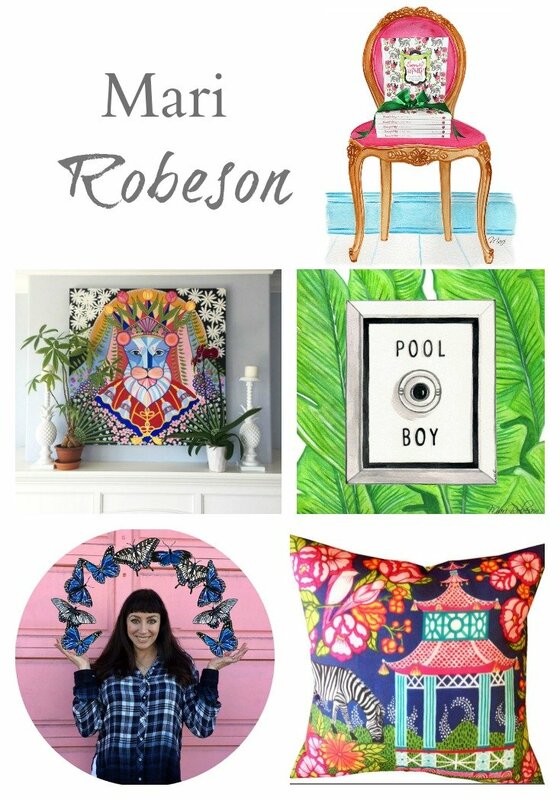 Today is such a fun day to get to feature the creative and colorful Mari Robeson of Mari Robeson Home. 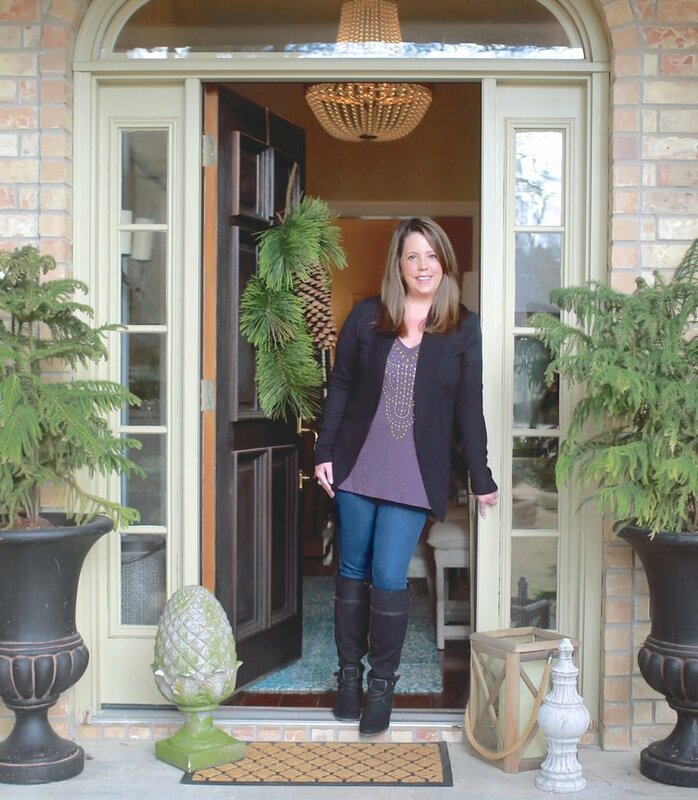 Mari Robeson Home is a lifestyle brand of textiles, art and home décor, inspired by Mari’s spirited approach to her interior design projects and the beautiful central coast in California, where she lives with her husband and three daughters. I have been a big fan of Mari’s colorful illustrations and her design renderings for quite awhile now. 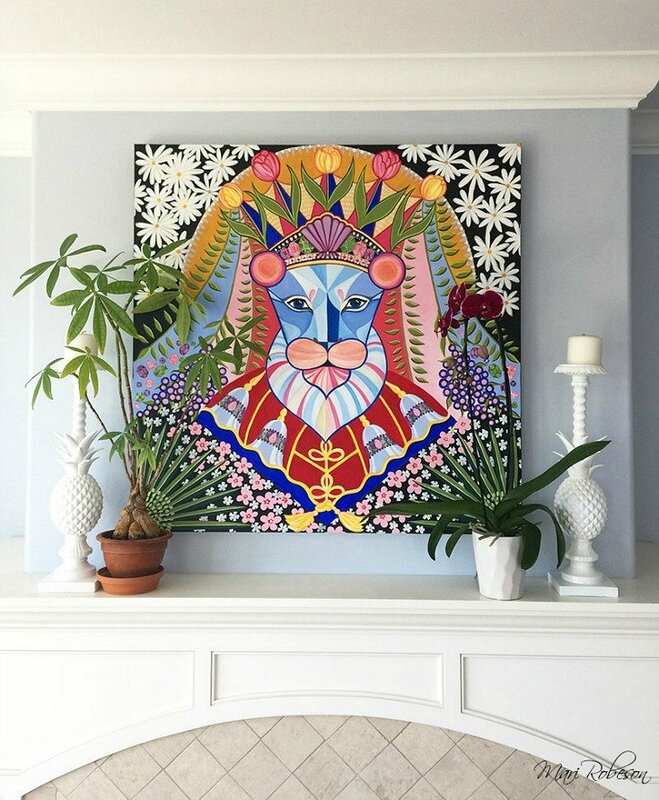 I love it when interior design, colorful patterns and art collide and that’s exactly what Mari does so beautifully! Mari’s latest piece called “Princess”. 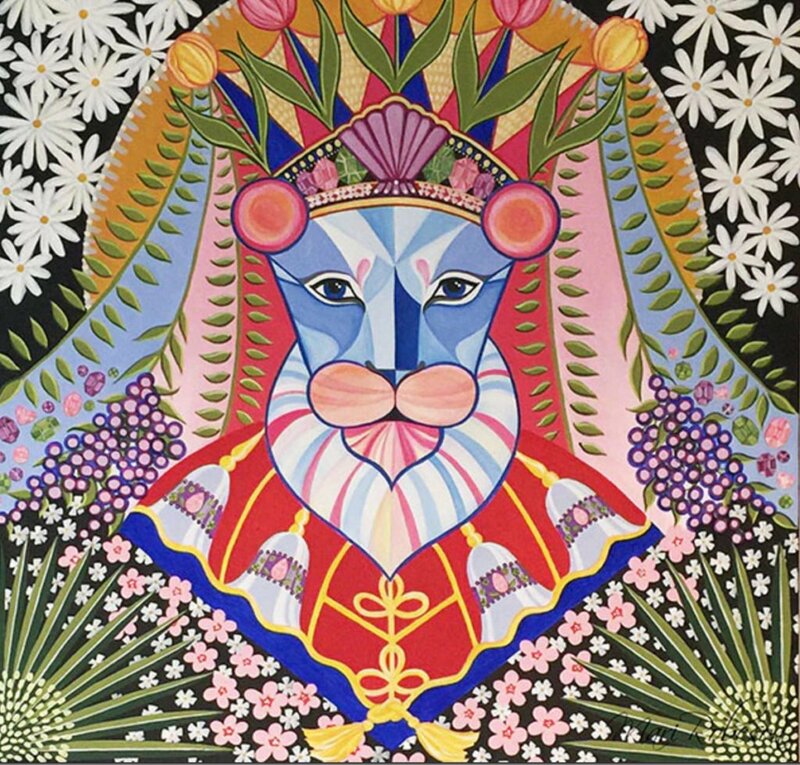 “Princess” is available in print in various sizes on Mari’s website here. 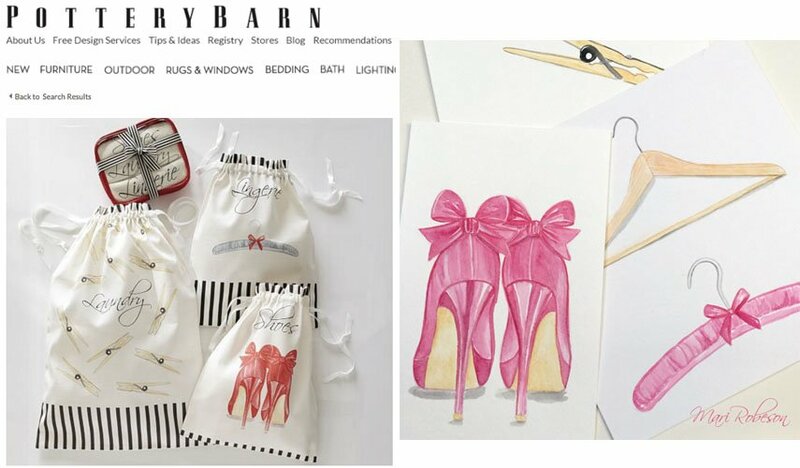 Many of the illustrations that Mari creates are incorporated into prints, pillows and fabrics that are all available in her online shop here. 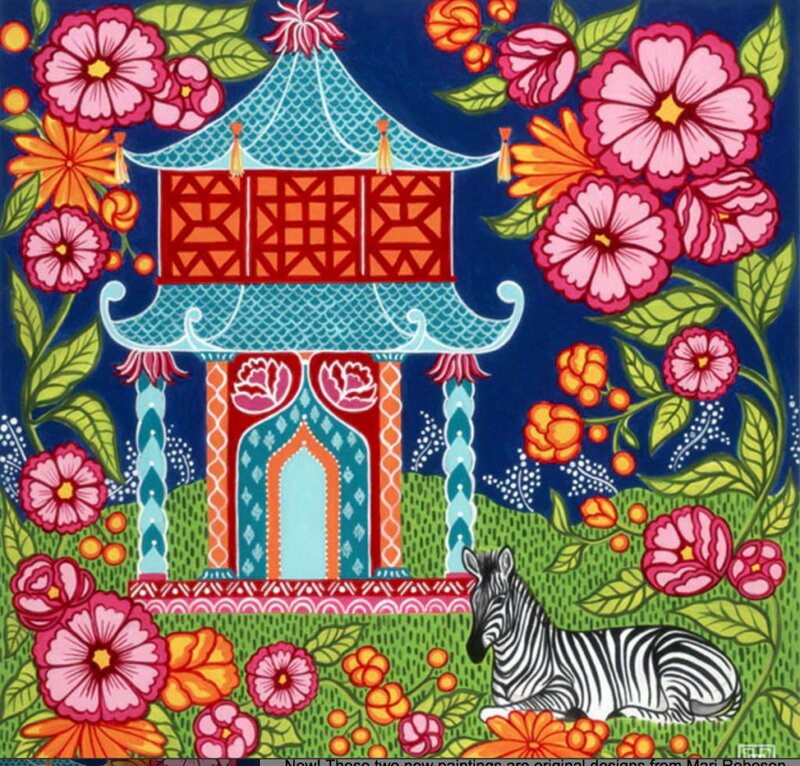 One of my favorites is “Chinoiserie Garden in Teal”. 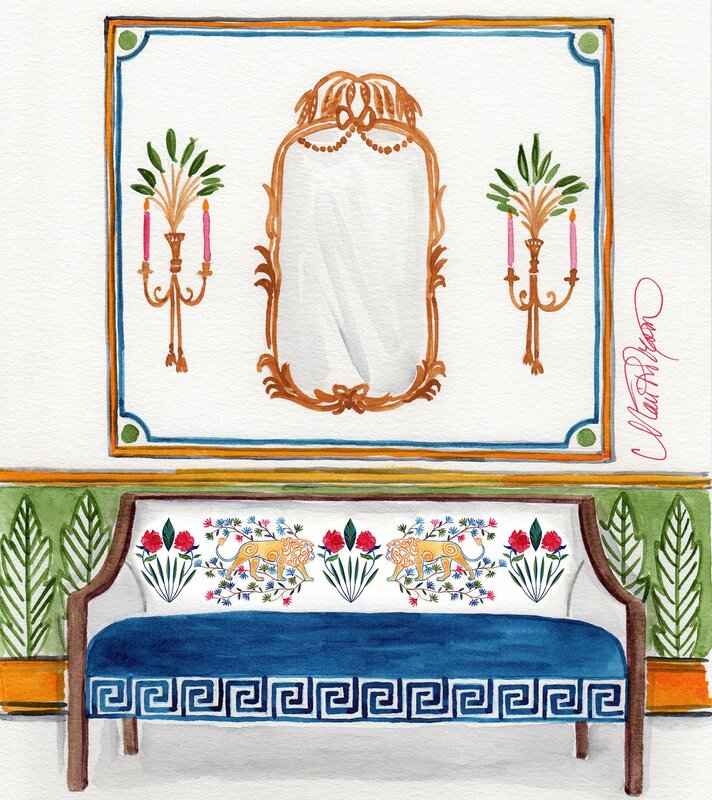 Here’s the chinoiserie print on a pillow. I just LOVE this! 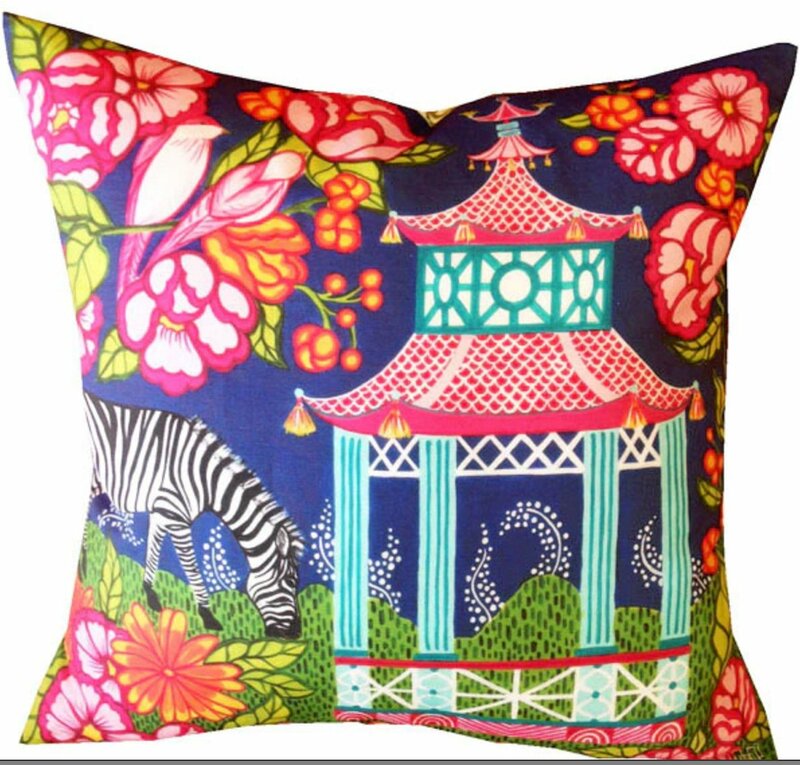 Pink Chinoiserie Garden pillow cover available here. 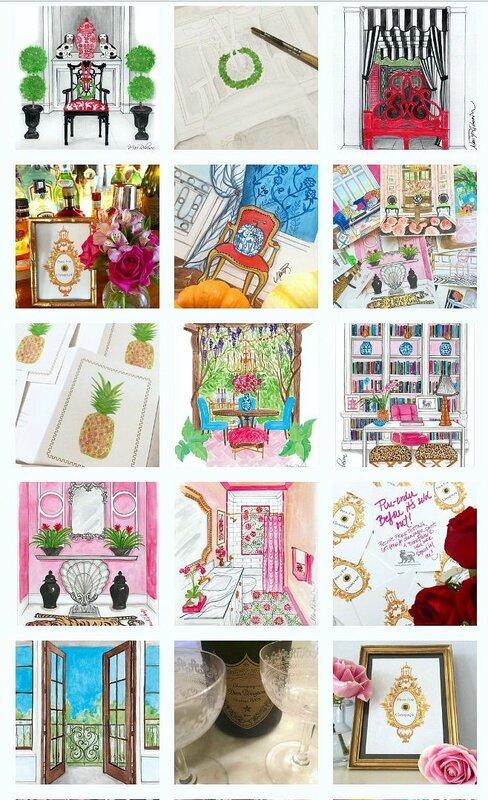 Mari’s Instagram here is absolute pure joy and beautiful with lots of great colors and her whimsical illustrations and designs. 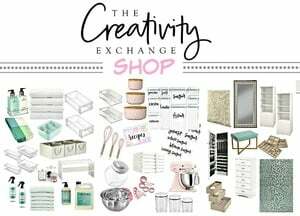 Everyday, she brings a smile to my face with her daily posts of the 100 day challenge, which she creates a painting every day. Just look! Mari told me that when she completes the challenge, she will be selling many of the originals. Also, a few that will make the cut for her 2018 Calendar. 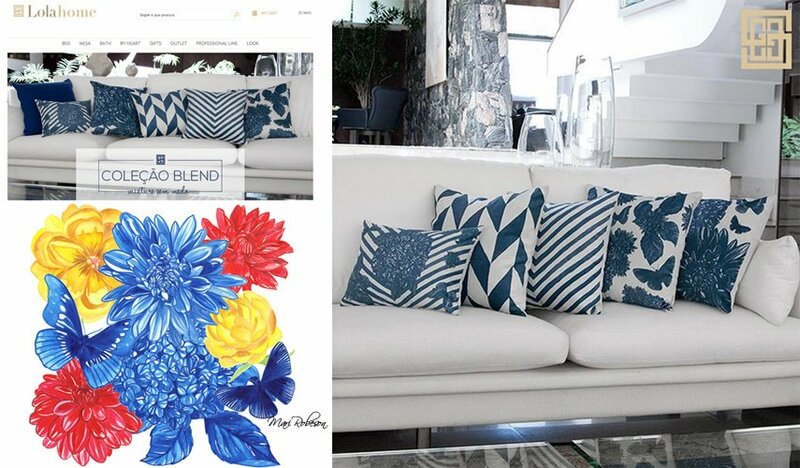 Here are few close up of some of Mari’s renderings from the challenge that I LOVE! Such amazing details! 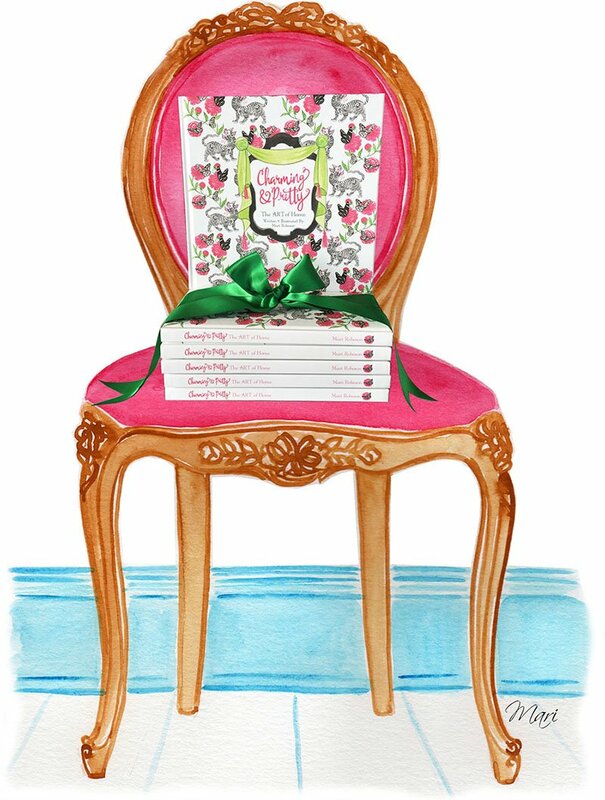 Can you believe she does all this with watercolors! Simply amazing! 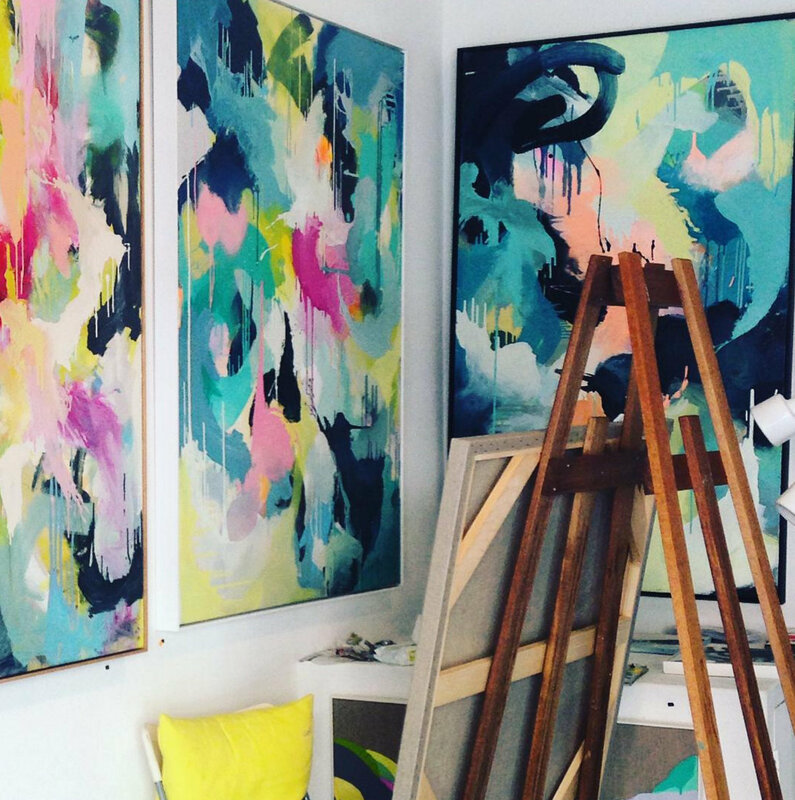 Mari also frequently collaborates with brands such as Pottery Barn, Lola Home and many others that incorporate her designs and artwork into textiles and prints. Did I mention that Mari is also a designer? 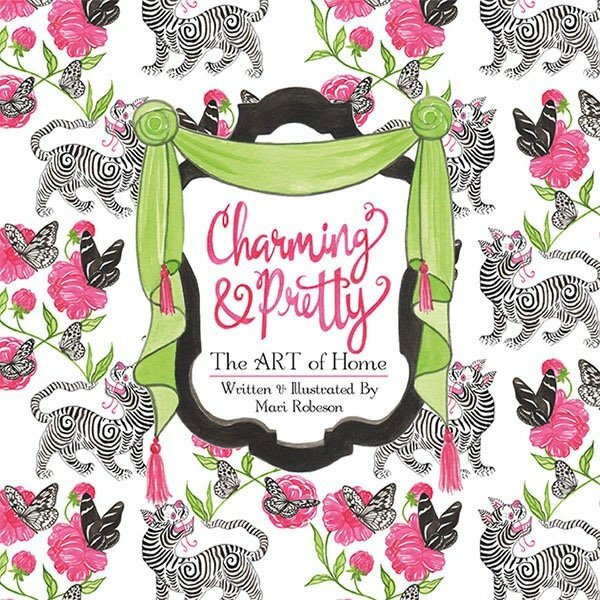 Oh, and as if she’s not busy enough, she’s just come out with a new book titled Charming & Pretty -The Art of Home, that is fully illustrated with a collection of Mari’s watercolors over the past two years. The book is broken down by months and rooms. 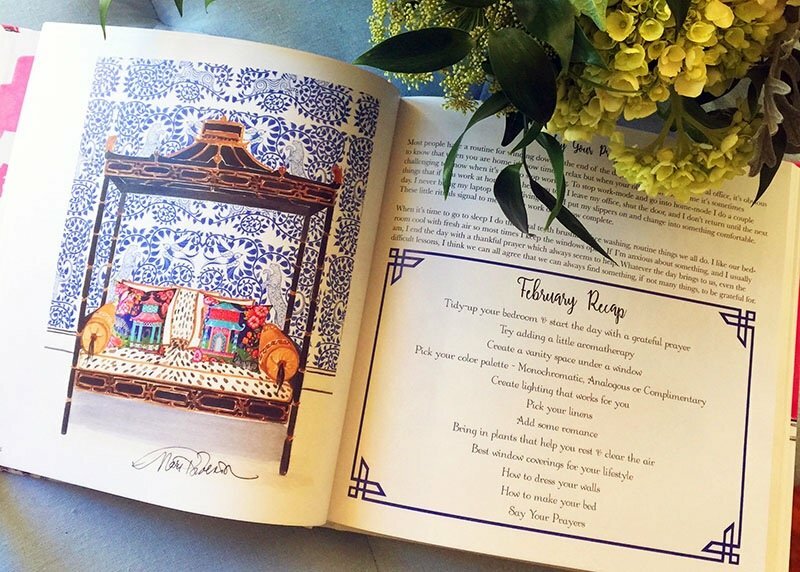 In the book, Mari also shares personal stories as a mother and a designer, while also offering ideas on how to create a beautiful home and meaningful life. 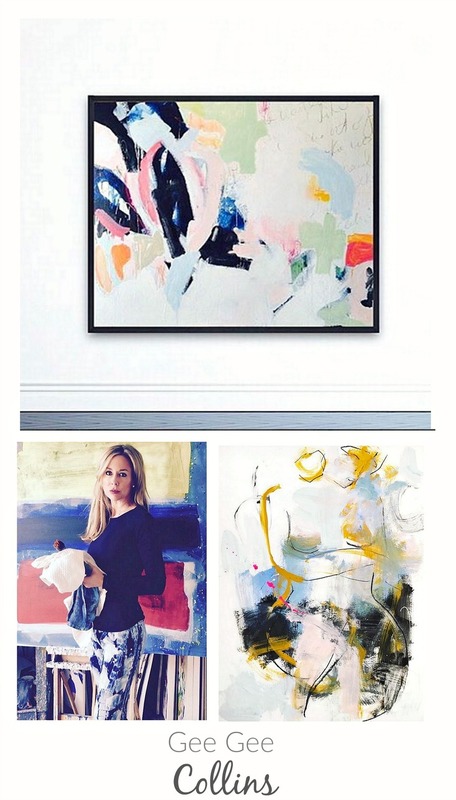 What a special treat today (and honor) to highlight Mari today and if you get the chance, you can learn more about Mari and look through her stunning paintings on her website . 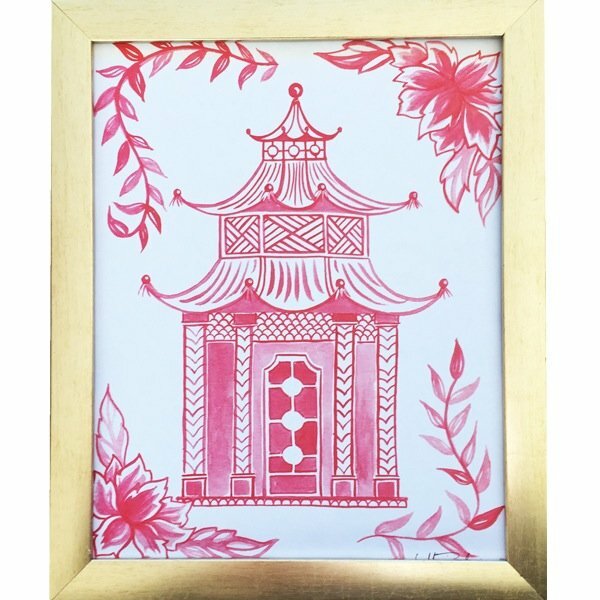 Those are stunning – the chinoiserie things are to die for!